Man TEG 3.180 Van in seats configuration 8+1 with cargo space. 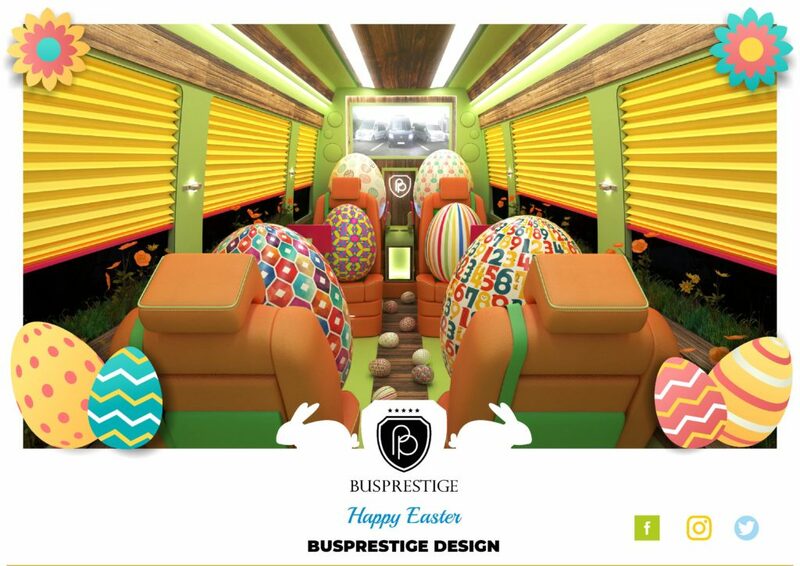 Busprestige Design Studio makes individual bus conversion projects. More info available in Busprestige Sales Department. Sprinter 319 in seats configuration 8+1 with special cargo space. 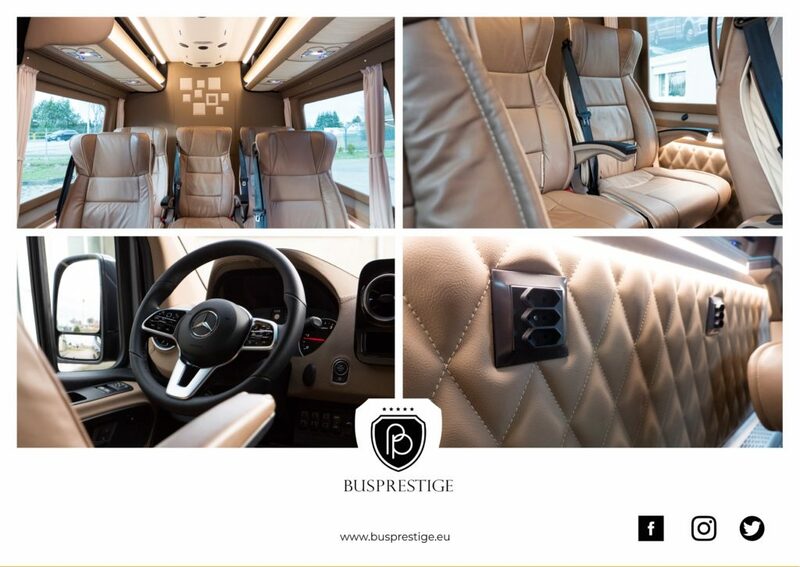 Luxury Sprinter Passenger Van Busprestige Elite Manufacturer of Buses & Minibuses Busprestige present customizable luxury and endless possibilities interior Sprinter Van with guaranteed high-quality craftsmanship. 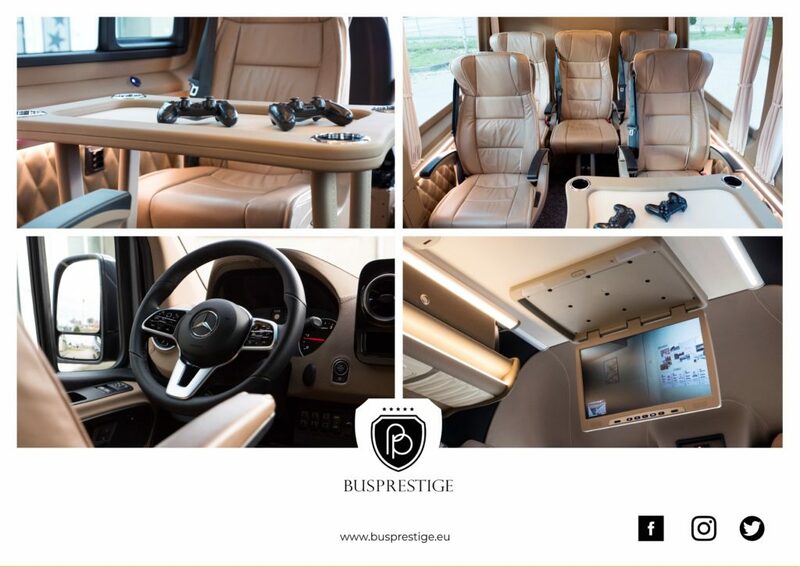 BP.233 – brand new bus in version “BP Tourist” Mercedes-Benz Sprinter 519 XL bus in 21 seat. 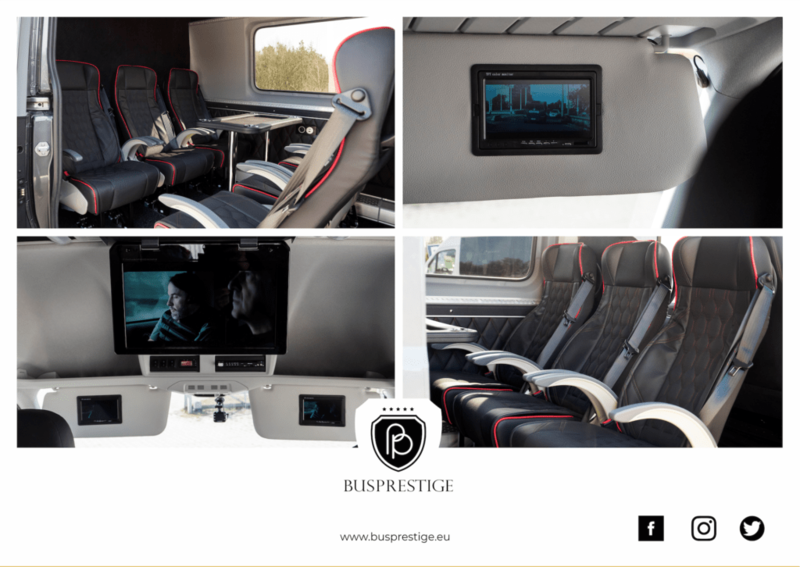 Busprestige Elite Manufacturer of Buses & Minibuses Presenting our new bus in “BP Tourist” version with seat configuration 19 passenger + 1 driver + 1 pilot. 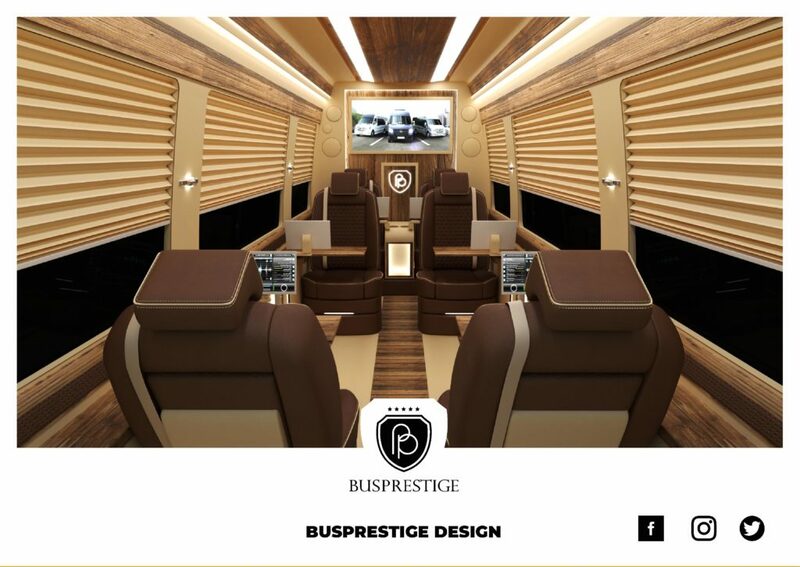 Busprestige Design Studio. Buses are our passion. 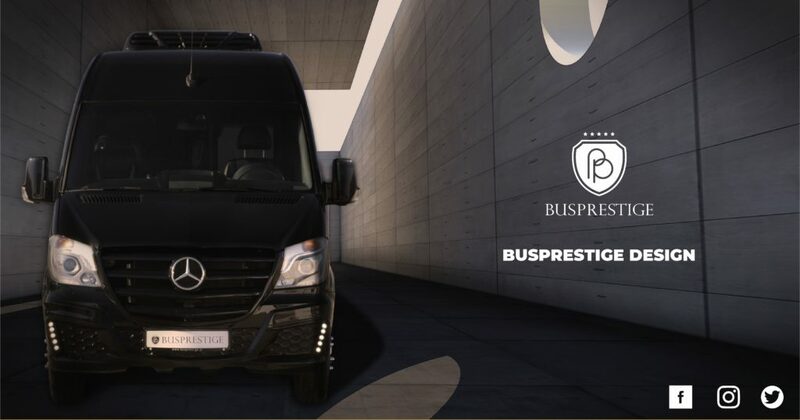 We are constantly developing our buildings and therefore the Busprestige Design studio creates modern buses, minibuses and commercial vehicles. 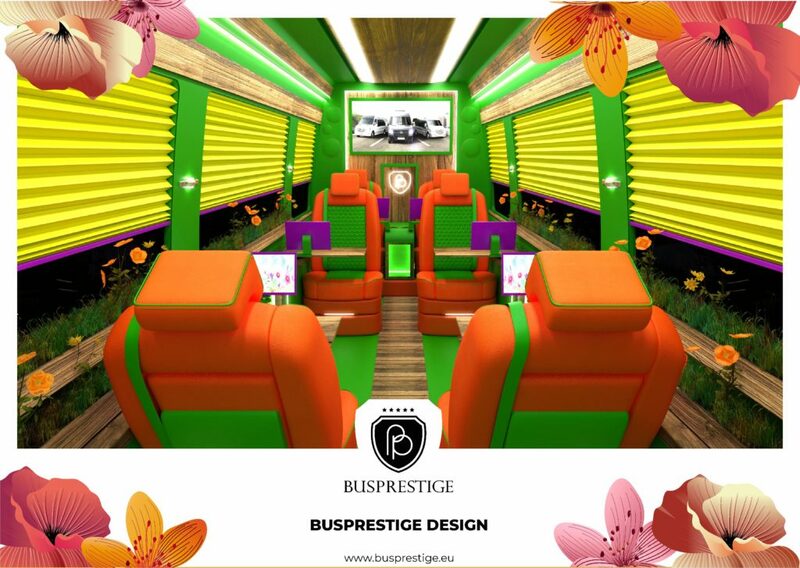 Our conceptual concepts of buses commonly known as busconcept are transformed into real bus constructions. 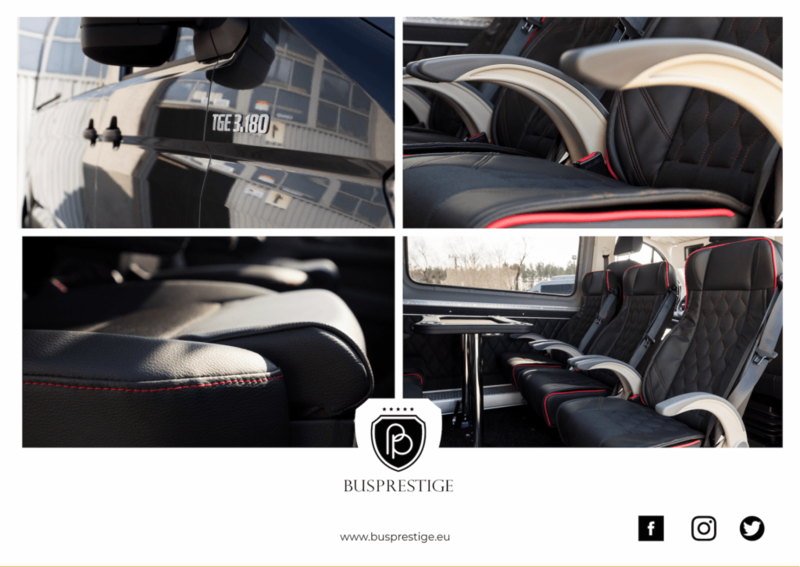 Modern design creates details, an interesting combination of fabrics and materials, while the whole bus development must meet the requirements of functionality and comfort of passengers. 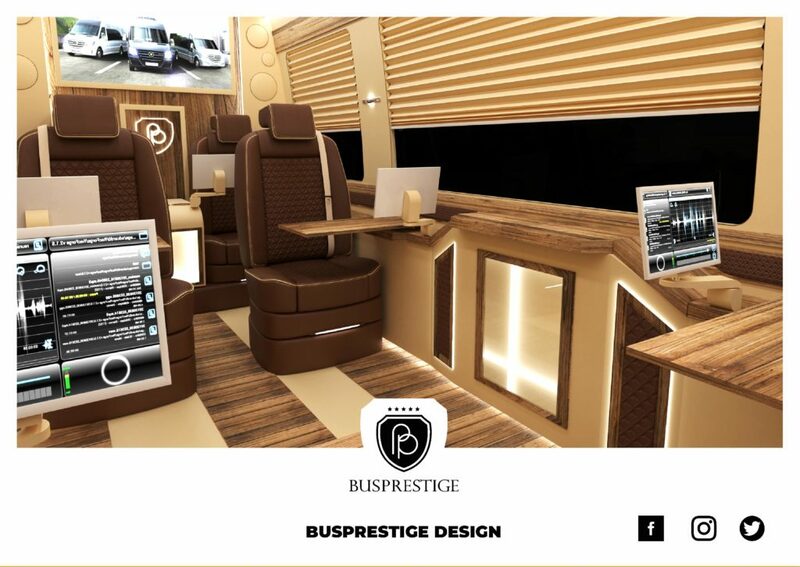 The Busprestige Design studio is able to realize for the customer each individual order for building the vehicle, starting from discussing the client’s vision, consulting, developing a graphic design of the vehicle and its interior to the final result in the form of a dream, unique vehicle. Sprinter Van in version “BP Hobby” Mercedes-Benz Sprinter 319 van in 8+1 seat. 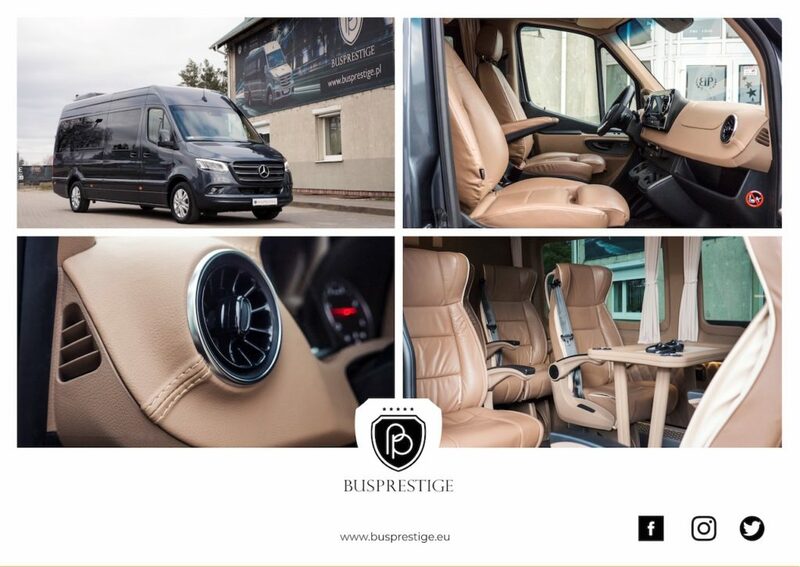 Busprestige Elite Manufacturer of Buses & Minibuses Presenting our van in “BP Hobby Van” version with seat configuration 8 passenger + 1 driver. BP.324 – brand new bus in version “BP TAXI VAN + Wheelchair” Mercedes-Benz Sprinter 316 minibus with disabled people solutions. 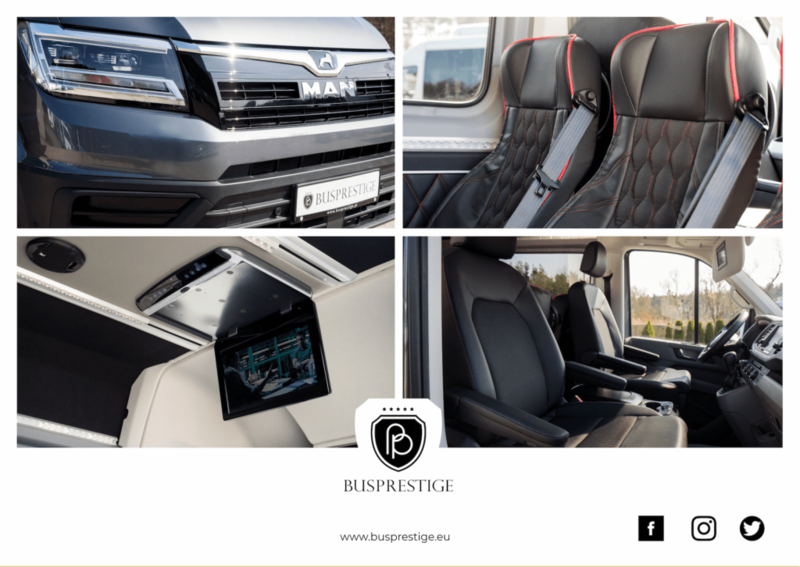 Busprestige Elite Manufacturer of Buses & Minibuses Presenting our new minibus in “BP Taxi Van” version with seat configuration 8 passenger + 1 driver + 2 wheelchair. Elite Manufacturer of Buses and Minibuses. ⓒ 2018. Busprestige all rights reserved.